At the PMO Conference on 13 June 2018, Bill Dow gave a presentation about PMO maturity, reporting and building credibility as a PMO team through the use of the right metrics. I caught up with him after his presentation to find out more about what he’d been up to at the conference and his workshop on the PMO lifecycle. Watch the video to listen to the interview (about 3.5 minutes). If you prefer to read, there’s a transcript of the interview underneath the video. Don’t see the video? Watch it direct on YouTube. Elizabeth: Hello everyone, it’s Elizabeth here and I am now with Bill Dow, who’s come over from Seattle. You did a one-day workshop for the PMO Conference, didn’t you? Bill: I did, yeah, on how to build, run, and shut down a PMO. So it was wonderful. Elizabeth: Tell us about that then. Bill: Yeah, so we basically broke down, I had I don’t know, way too many slides clearly, but it was an eight-hour class and we walked people through how to build, and then how to run, and then finally how to shut down which is really reversing building and running. And it went great, and so a lot of people were focused on building, and they always are, and we were talking to the class about, “Hey, you know, what happens to running, how do you actually run a PMO once you build it?” And so people were really excited about that section of it. And then we jumped to shutting down, which is really reversing the steps of building and running. So it went really well. 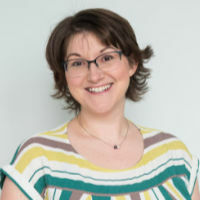 Elizabeth: Great, because I always think of building a PMO… When you think about PMOs, it’s always about set-up, engaging stakeholders, and the rest of it, and then you actually don’t really think much about what it means to be in steady-state. Elizabeth: Or that end-of-lifecycle where somebody says, “No, this isn’t working”. How do you shut it down and keep morale? As a PMO manager, it’s your responsibility to move the people to their next jobs, but you’re also thinking about your own job, and you’re thinking about your own mortgage, and your kids, and your health care, and all that stuff. Bill: Yes, and that’s tough, and I go into it in a lot of detail, and really the emotional side of it. Because you as a PMO manager, it’s your responsibility to move the people to their next jobs, but you’re also thinking about your own job, and you’re thinking about your own mortgage, and your kids, and your health care, and all that stuff. So, it’s really… What I say, my term is, the PMO manager becomes a leader when you help your people through that process. Bill: ‘Cause it’s really emotional, it’s really scary. Elizabeth: They’ve started to play music for us. Elizabeth: So, one of the things that you can do as a PMO, you can only really do a great work job as a PMO if your products are getting delivered, do you agree? 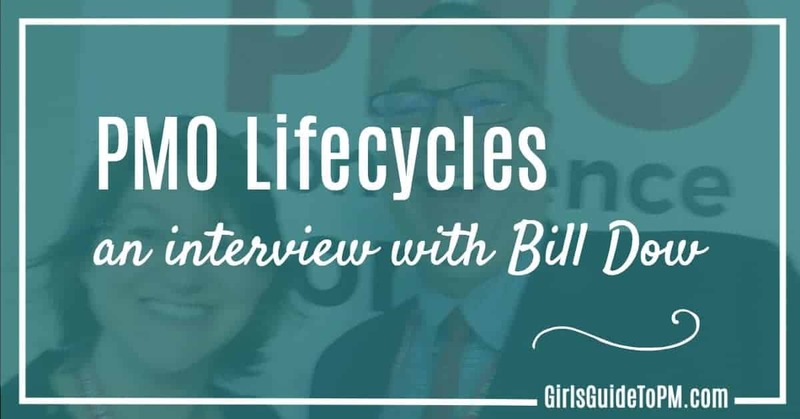 Bill: Yeah, I totally agree, and I think the fundamental… And we’re at this conference and there is some exciting stuff in digital and where we’re going with PMOs and stuff, but I think it’s rooted on project management. That’s where you’ve really kind of focused in, making people get their projects on time, and get them delivered successfully. I think you have to start there. Bill: And then go to programmes, right? And then go to portfolio, it all roots on project management. Elizabeth: Because if we’re not delivering anything, the PMO basically has nothing to report. Bill: That’s right. But there are different types of PMOs, too, right? So you could be like a supportive PMO where you’re just giving best practices, and so you don’t actually have to be around the delivery. So there are different types of PMOs, but generally when we think of PMOs and we come to these conferences, they tend to be around project delivery-oriented. But there are actually different types. You can be just a reporting PMO and a supportive PMO, providing that data out there. Elizabeth: Cool, so your presentation today at the conference is out of the way now. Bill: Yes, thankfully. That’s always fun. Elizabeth: It’s nice to be early in the day, isn’t it? So what are you hoping to get out the rest of the day? Bill: You just have to figure out where everyone’s thinking and where their mind’s shift is at. So, for example, we sat through the digital PMO and kinda what could that look like and what does PMO 3.0 look like. There’s a bots presentation coming up, I’m so excited about that one ’cause bots are taking over, and also through it see how we can bring bots into the PMO. So yes, I’m excited about that. Elizabeth: There are quite lot of stuff on industry trends. Where we are all going. Bill: Yeah, and it’s just like I said, it just keeps moving and moving and moving. It’s so hard to keep up sometimes. Elizabeth: Yes, brilliant. Okay, well, thank you very much. Bill: Well, thank you, I appreciate it. Filed Under: Skills Tagged With: This article contains affiliate links.